This issue is described in the note 357016.1.Please apply the patch mentioned in the note 357016.1 to avoid this issue. Also you can set the ulimit -a values to unlimited for oracle and root user to avoid this issue. on a RAC database with a varying width character set. ORA-00600: internal error code, arguments: [kolaslGetLength-1], , , , , , , . Bug 4634662 is fixed in 10.2.0.4 and Rel 11.
a) Click on Patches & Updates Folder. b) Click on Simple Search. ORA-600 [ksnpost:ksnigb] along with ORA-600  errors are creating problem while creating new sessions. All these point to insufficient memory or OS limits. Bug 7479468 was raised for similar issue that was closed as there was not enough swap swap space hence was the problem. Check the swap space in the system and increase if required. 10g Enterprise Manager Shows Negative Utilisation For An Oracle Datafile. utilization for some files. Value in Used (MB) column is negative. This is because of Bug:5083393. DBA_FREE_SPACE and this cause EM to display wrong value in Used (MB) column. If available, download Patch:5083393 to resolve this issue. time of this writing this article (JULY 2007). Purge all objects from the recycle bin. the RELATIVE_FNO column of dba_free_space might be different. concerning the segment that exists in RECYCLE BIN. values in the range negative. The fill rate is not shown correctly. clearing the recycle bin or by turning it off. To run the statements and check the data file usage from sqlplus. datafiles are listed repeatedly multiple times, and some of the sizes are wrong and showing a negative value. This is seen from database home page => server tab => tablespaces. Click on tablespace name, a list of datafiles associated with that tablespace should be returned. same datafile listed multiple times can also be seen. necessary to apply Patch 7278117. Did you test with the latest version? ksedst+001c          bl       ksedst1              088424844 ? 041124844 ? ksedmp+0290          bl       ksedst               104A54870 ? kgesiv+0080          bl       kgeriv               1000D8FE4 ? 0785F7165 ? ksesic6+0060         bl       kgesiv               110072D08 ? 7000000AC52B8F8 ? updexe+041c          bl       updThreePhaseExe     7000000AC52B8F8 ? 000000000 ? opiexe+27d8          bl       updexe               7000000AC52B8F8 ? kpoal8+0edc          bl       opiexe               FFFFFFFFFFFB434 ? opiino+0990          bl       opitsk               000000000 ? 000000000 ? ksedst+001c          bl       ksedst1              578318D500000003 ? kgeasnmierr+004c     bl       kgerinv              11048AE68 ? 000000000 ? opifch+003c          bl       opifch2              1100DD338 ? 000000000 ? kgesiv+0080          bl       kgeriv               000000000 ? 000000000 ? ksesic2+0060         bl       kgesiv               000000245 ? 0FFFFFFFF ? krtd2abh+040c        bl       ksesic2              61C3000061C3 ? 000000000 ? kcbgtcr+24a0         bl       krtd2abh             700000471D95738 ? ktrget+04ac          bl       kcbgtcr              1105A75A8 ? 000002000 ? kdsgrp+00bc          bl       ktrget               000000064 ? 110000998 ? kdsgnp+0444          bl       kdsgrp               000000000 ? 000000000 ? kafger+08fc          bl       kdsgnp               000000000 ? 000000000 ? kdstf1100101km+0f58  bl       kafger               1105A74D8 ? 111119E38 ? kdsttgr+1a04         bl       kdstf1100101km       111119E38 ? 0000102A1 ? qertbFetch+09b8      bl       kdsttgr              111119E38 ? 000000418 ? Analyze the affected object to look for logical corruption. This will place an exclusive lock on the table. If an error is reported try dropping and recreating the index(es) first. Bug 4883635 has been applied if Materialized Views are used. reported in at least one confirmed bug. 1. If the Arg [b] (the RDBA) is 0 (zero), then this could be due to fake indexes. dropping them as they can cause this error. Support Services for further analysis. 10704, 00000, "Print out information about what enqueues are being obtained"
//          ksqlrl and the return values. Unnecessary trace files may be generated with entries that read:'[kdl_trim]: newlen: '. Free disk space check passed for "vrh3:/tmp"
Hard limits check failed for "maximum open file descriptors"
Pre-check for node addition was unsuccessful on all the nodes. Go to CRS_home/oui/bin and run the addNode.sh script on one of the existing nodes. 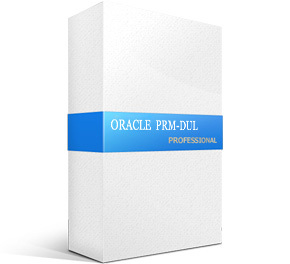 Oracle Universal Installer runs in add node mode and the Welcome page displays. Click Next and the Specify Cluster Nodes for Node Addition page displays. Value for CLUSTER_NEW_NODES not specified. ADDNODE="$OHOME/oui/bin/runInstaller -addNode -invPtrLoc $INVPTRLOC ORACLE_HOME=$OHOME $*"
Copyright (C) 1999, 2010, Oracle. All rights reserved. WARNING:A new inventory has been created on one or more nodes in this session. However, it has not yet been registered as the central inventory of this system. with root privileges on nodes 'vrh3'. patch the products you installed. The following configuration scripts need to be executed as the "root" user in each cluster node. The Cluster Node Addition of /g01/11.2.0/grid was successful. Please check '/tmp/silentInstall.log' for more details. Changing groupname of /g01/oraInventory to asmadmin. Failed to perform new node configuration at /g01/11.2.0/grid/crs/install/crsconfig_lib.pm line 8255. CRS-5010: Update of configuration file "/s01/orabase/product/11.2.0/dbhome_1/network/admin/listener.ora" failed: details at "(:CLSN00014:)" in "/g01/11.2.0/grid/log/vrh3/agent/crsd/oraagent_oracle/oraagent_oracle.log"
CRS-5013: Agent "/g01/11.2.0/grid/bin/oraagent.bin" failed to start process "/s01/orabase/product/11.2.0/dbhome_1/bin/lsnrctl" for action "check": details at "(:CLSN00008:)" in "/g01/11.2.0/grid/log/vrh3/agent/crsd/oraagent_oracle/oraagent_oracle.log"
CRS-5013: Agent "/g01/11.2.0/grid/bin/oraagent.bin" failed to start process "/s01/orabase/product/11.2.0/dbhome_1/bin/lsnrctl" for action "clean": details at "(:CLSN00008:)" in "/g01/11.2.0/grid/log/vrh3/agent/crsd/oraagent_oracle/oraagent_oracle.log"
GSD node application is offline on nodes "vrh3,vrh2,vrh1"
PRVF-4664 : Found inconsistent name resolution entries for SCAN name "vrh.cluster.oracle.com"
Post-check for node addition was successful. 10015 trace name context forever,level 10"
log_archive_dest_2       = "service=stdby optional lgwr sync affirm valid_for=(online_logfiles,all_roles)"
Symbol file C:\app\product\11.2.0\dbhome_1\RDBMS\ADMIN\oracommon11.SYM does not match binary. Symbol file C:\app\product\11.2.0\dbhome_1\RDBMS\ADMIN\oraclsra11.SYM does not match binary. Symbol file C:\app\product\11.2.0\dbhome_1\BIN\oracommon11.SYM does not match binary. Symbol file C:\app\product\11.2.0\dbhome_1\BIN\oraclsra11.SYM does not match binary. Symbol file oraclsra11.SYM does not match binary. Symbol file oracommon11.SYM does not match binary. This parameter is hidden in 9.0 onwards. In Oracle8i the default for this is 64 blocks. The database parameter _db_file_direct_io_count in the target and auxiliary instance does not match. where the backup was taken and the target database where the backup is being restored. NOTE : DB_FILE_DIRECT_IO_COUNT is not available in Oracle9i onwards. 1Mb butwill be sized down if the max_io_size of the system is smaller. used to override the default value. One off patches for 10200390 should also include this fix. A lock is closed without sending a message to the master. This causes closed lock dangling at the master crashing the instance with different internal errors. PCM (GCS) and non-PCM (GES) resources are kept separate and use separate code paths. PCM DLM locks that are owned by the local instance are allocated and embedded in an LE structure. PCM DLM locks that are owned by remote instances and mastered by the local instance are allocated in SHARED_POOL. kcllemode or held-mode; kclleacq or acquiring; kcllelck or DLM lock. role-interpreted NULL(0x00), S(0x01), X(0x02), L0 Local (0x00), G0 Global without PI (0x08), G1 Global with PI (0x018). 0x10 has one or more PI; 0x20 if request CR; 0x40 if request S; 0x80 if request X.
ZOP-47: The patch(es) has supersets with other patches installed in the Oracle Home (or) among themselves. ZOP-40: The patch(es) has conflicts with other patches installed in the Oracle Home (or) among themselves. There are no patches that can be applied now. Users request no RAC file generation. Do not create MP files. Skip patching component oracle.rdbms, 10.2.0.4.0 and its actions. The actions are reported here, but are not performed. Updating archive file "/s01/db_1/lib/libserver10.a"  with "lib/libserver10.a/ktm.o"
Updating archive file "/s01/db_1/lib/libserver10.a"  with "lib/libserver10.a/ktu.o"
Updating archive file "/s01/db_1/lib/libserver10.a"  with "lib/libserver10.a/ktusm.o"
Inventory and System verification is performed here. Updating archive file "/s01/db_1/lib/libserver10.a"  with "lib/libserver10.a/kks1.o"
Updating archive file "/s01/db_1/lib/libserver10.a"  with "lib/libserver10.a/kksc.o"
Updating archive file "/s01/db_1/lib/libserver10.a"  with "lib/libserver10.a/kksh.o"
Updating archive file "/s01/db_1/lib/libserver10.a"  with "lib/libserver10.a/ksmp.o"
Updating archive file "/s01/db_1/lib/libserver10.a"  with "lib/libserver10.a/kspt.o"
Inventory check OK: Patch ID 7527908 is registered in Oracle Home inventory with proper meta-data. Files check OK: Files from Patch ID 7527908 are present in Oracle Home. Inventory check OK: Patch ID 9696904 is registered in Oracle Home inventory with proper meta-data. Files check OK: Files from Patch ID 9696904 are present in Oracle Home.